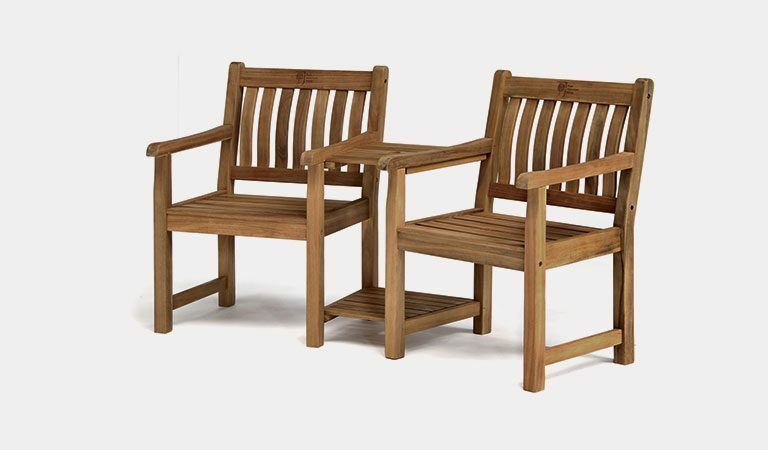 The luxurious RHS Chelsea range is made from natural acacia wood with a hand coated oil finish. 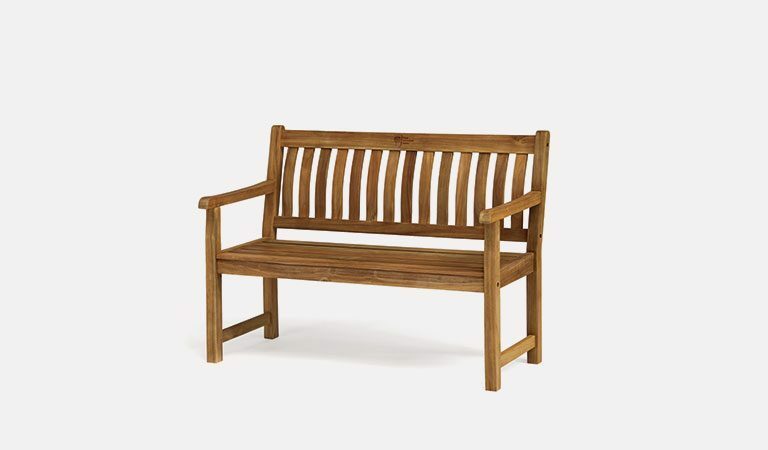 Traditional in style, the RHS Chelsea seating is made for garden lovers. 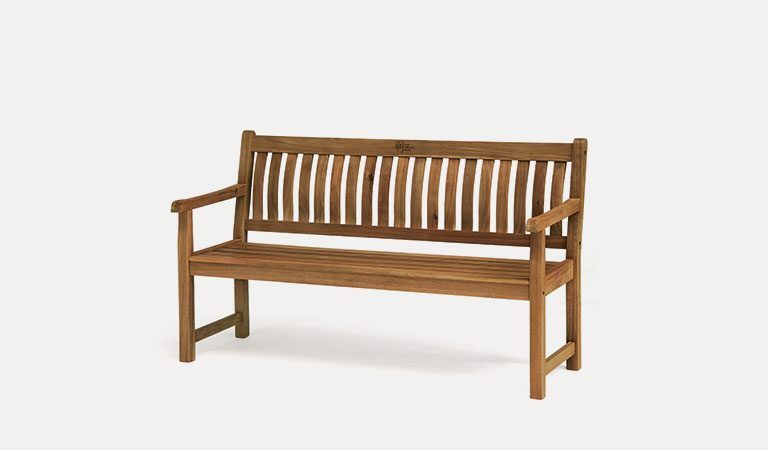 Lay under the sun on the steamer or rest on the 4ft or 5ft benches. 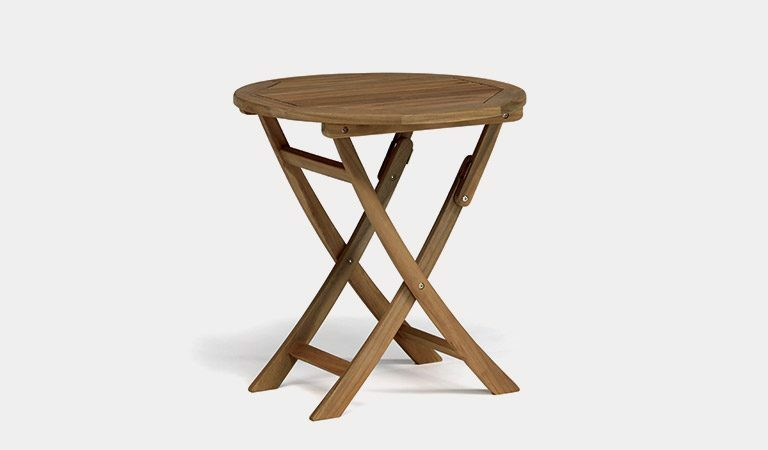 The companion set includes a side table with parasol hole. 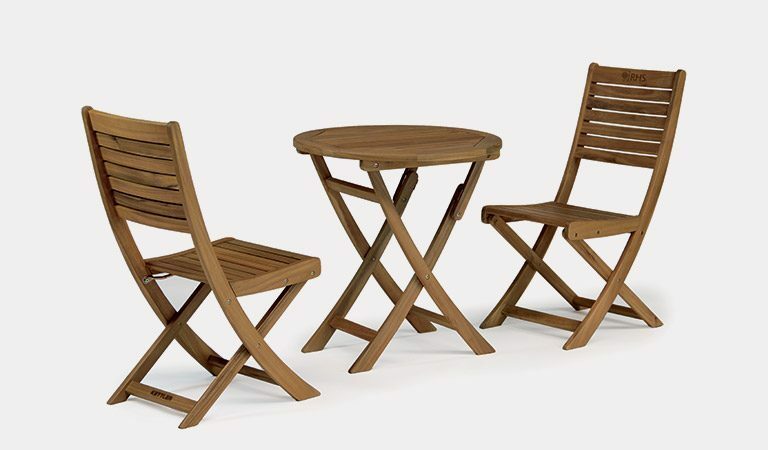 Wooden garden furniture made by garden lovers, for garden lovers. 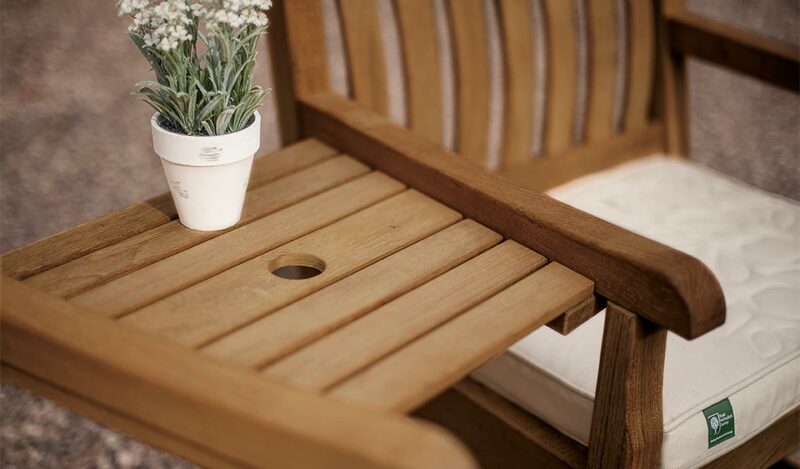 Sit on the patio or decking and enjoy the warm UK weather. 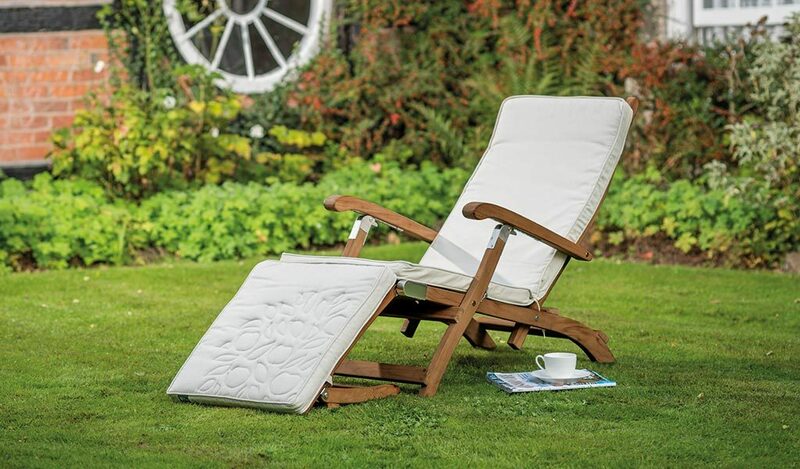 Sit back and enjoy your garden with the RHS Chelsea range. 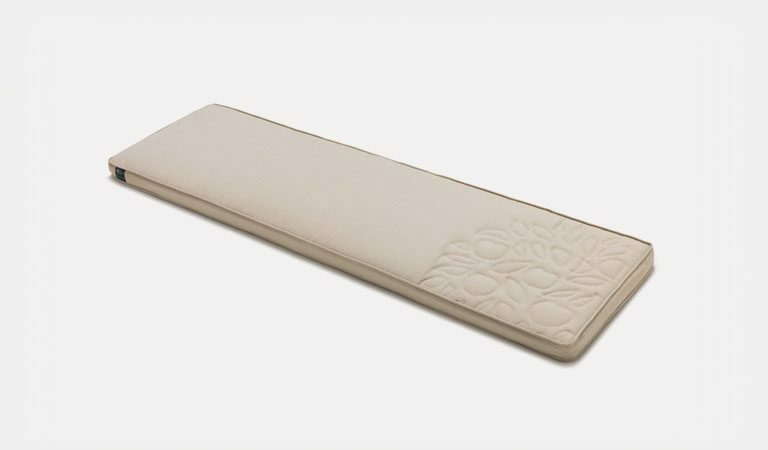 Expect high-quality in every little detail as well as a beautiful wood design. The natural acacia wood includes an oil finish for added protection against the elements while also bringing out the natural, wood look. Our hardwood is sourced from well-maintained forests and comes with FSC certification. 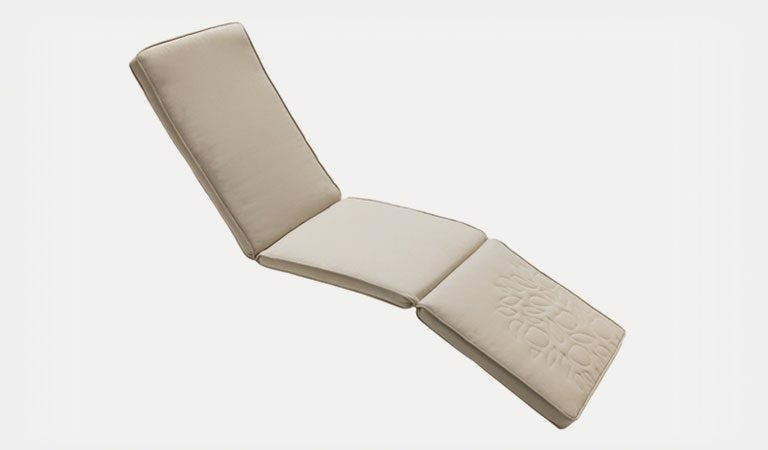 Smooth armrests are rounded off at the ends while the curved back supports your posture. 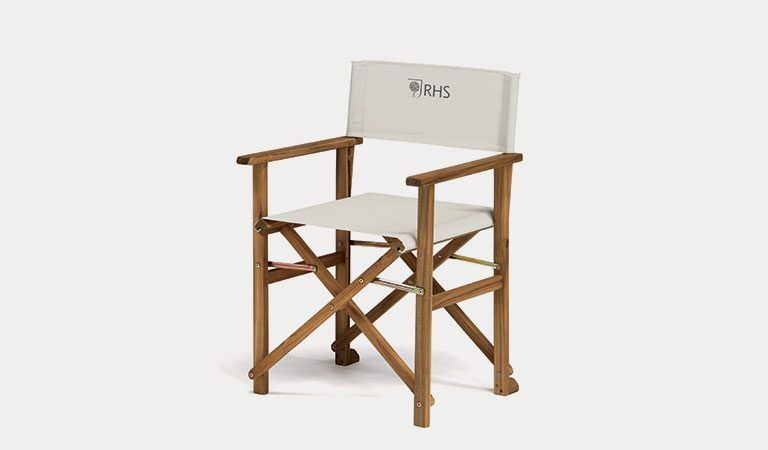 The Royal Horticultural Society logo is etched into the wood at the top of each piece. 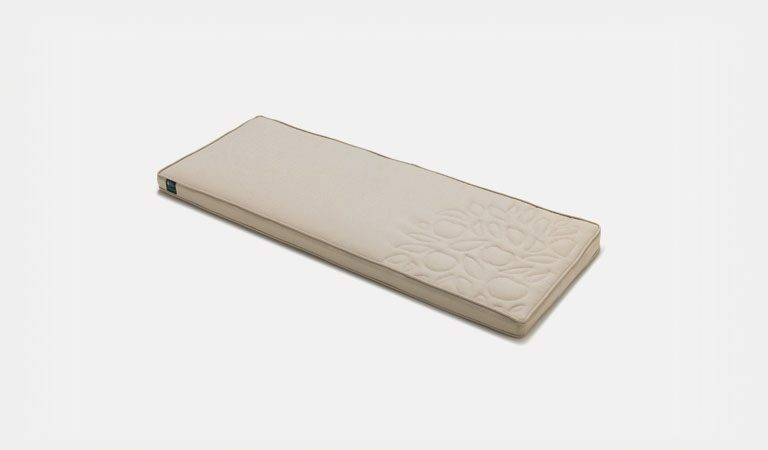 The RHS Chelsea range is the perfect choice for any gardener with a traditional outdoor space filled with bright flowers in bloom. 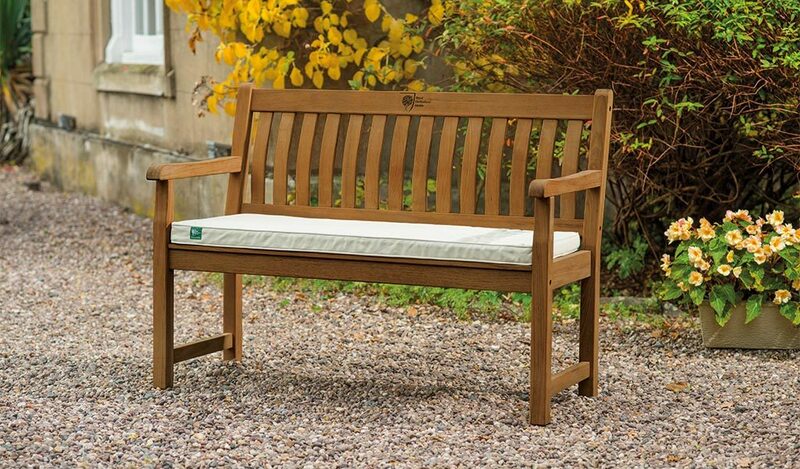 RHS Chelsea includes a choice of traditional benches, classic steamer and a romantic companion set. Tailor fitted cushions are available. Intricate stitching across the seat gives the cushions a unique look. 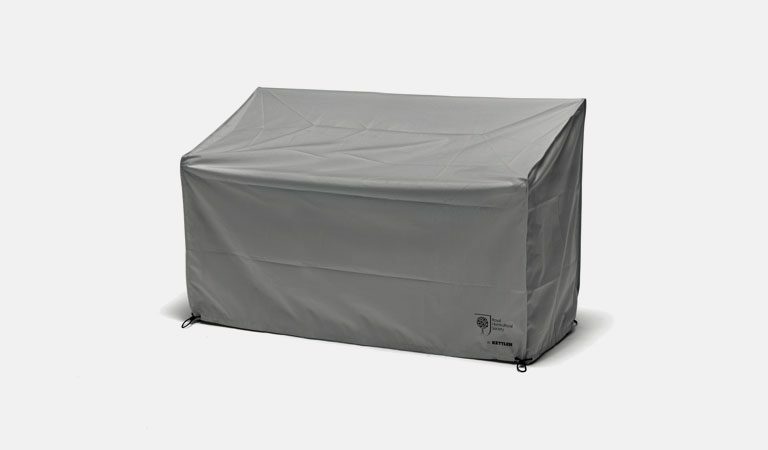 A full cushion for the steamer includes a soft back cushion as well as a removable leg cushion. 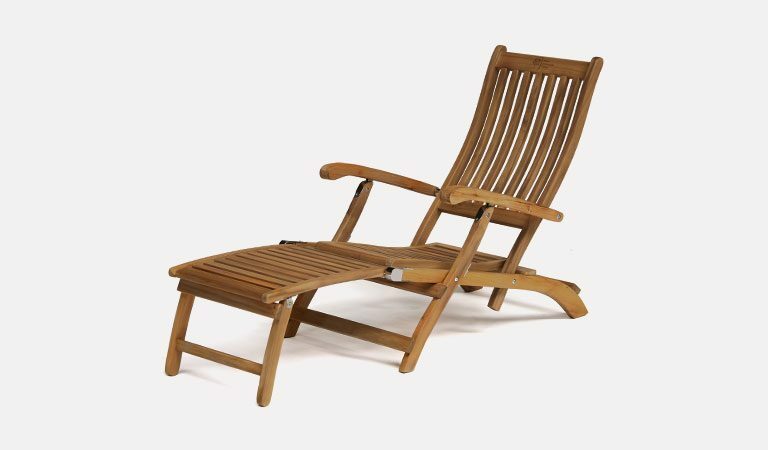 Material: Acacia wood with oil finish– tough resistance with smooth feel. Tailored seat pads and protective covers also available. 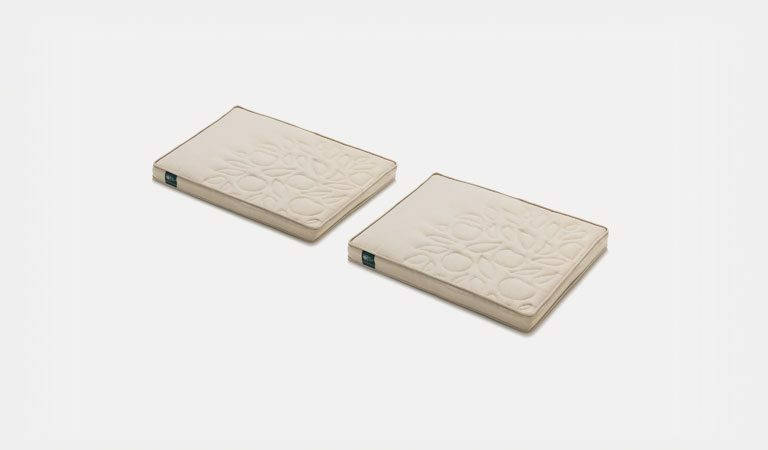 RHS Rosemoor also available in sage green. 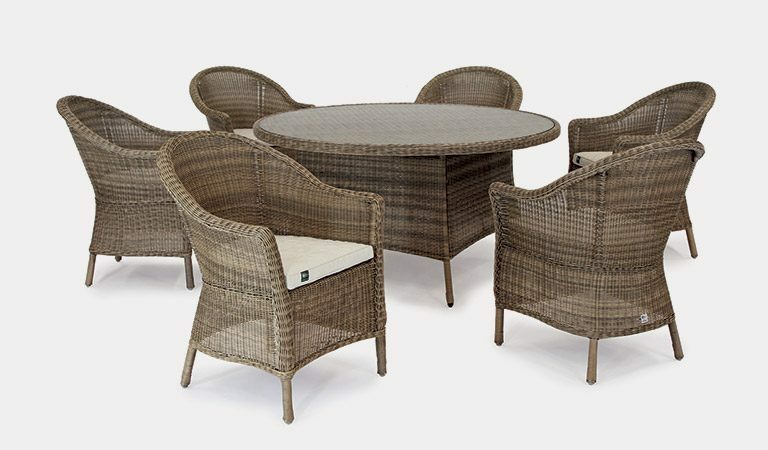 Sit on a patio, decking area or lush green outdoor haven while under the warm, bright sun… bliss! Our 12 Month Acacia wood warranty applies to domestic use only. If the product is damaged through accidental damage or mis-use, you warranty will be void. Terms & conditions apply. No warranty claims can be accepted without a valid proof of purchase.